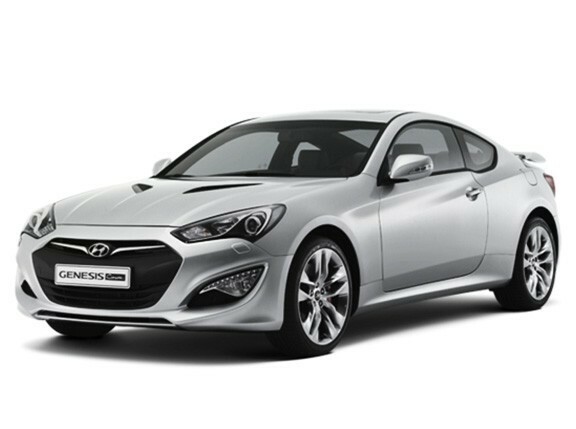 Hyundai's official Korean-language blog has finally posted the updated redesign and specs of the Genesis Coupe, fresh from its first-ever public unveiling at the Chonnam National Yeongam F1 Speed Festival held in Korea last November 12. As we've seen in the teaser released by the same official Hyundai blog last week, the Genesis Coupe now sports the same front fascia as the Veloster, bringing the two-door coupe's look closer to the Korean carmaker's fluidic-sculpture design language. The larger grille also gives it a more aggressive face to complement the new headlights, redesigned bumper with its integrated LED-equipped foglamps and the updated bonnet. The biggest changes to the Genesis Coupe though are through its powertrains. For the range-topping model, its 3.8-liter V6 engine is now equipped with direction-injection technology and its output has been bumped up to 345hp and 400Nm of torque. For the inline-four engine-packing model, a twin-scroll turbocharger has been added to the mix, pushing is output to 271hp and 373Nm of twist. A new eight-speed automatic transmission is available for both models although a six-speed manual transmission will also be offered with either engine. Excited? Hold your horses. Remember that Hyundai Asia Resources, authorized distributor of Hyundai vehicles in the Philippines, has said it can't bring the Veloster to the Philippines because our local fuels supposedly aren't compatible with direction-injection technology. With the same technology inside the new Genesis Coupe, could it mean waiting for the sports car is just as futile as wishing for the Veloster?